I’m sitting here in front of my blank page waiting for words with which I will spew forth and impress. Where is my inspiration? Why don’t I have anything to say to all of you. If you knew me, you would be shocked at my loss for words. So what’s my problem? I am a fixer. This is the problem I have which my family experiences first hand. I want everyone to be happy, ok, in a good mood. I want them to love me. The same with all of you. How does this affect my writing? I am conflicted between what’s deep within me and what I think you all want to hear. In the book “The War of Art”, it’s called being a hack. Artists put out what they think the audience wants. They produce what will make them money or get them accolades and awards instead of what their hearts tell them. Ultimately, what I hold within must be shared at some point. It may even be beneficial to someone other than me. I am obligated to be true to myself and produce what my higher power has implanted within my soul to communicate and not what I think you all want to hear. I have to be courageous and take the risk of being rejected, abandoned and publicly humiliated every time I publicize my work. 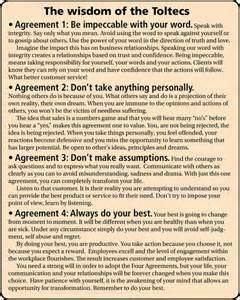 “The Four Agreements” by Don Miguel Ruiz teach me to be impeccable with my word, not to take anything personally, never assume and always do my best. If I am true to these, I am true to myself and all of you. I will not be obligated to explain myself or worry what you are thinking. You deserve this and so do I. So what do I want you all to know today? This is what’s on my heart: Friendships grow, change and sometimes disintegrate. One can only do their best to love unconditionally, be uplifting, apologize and make amends when they are wrong. If a relationship ends when you’ve given it the old college try, it’s time to move on. That person doesn’t want you in their life. This is a real loss and can be very painful. Know you have done your best and learn to be ok with that. It’s not about you. It’s their issue. Tell me what’s going on in your life. I want to hear from you.